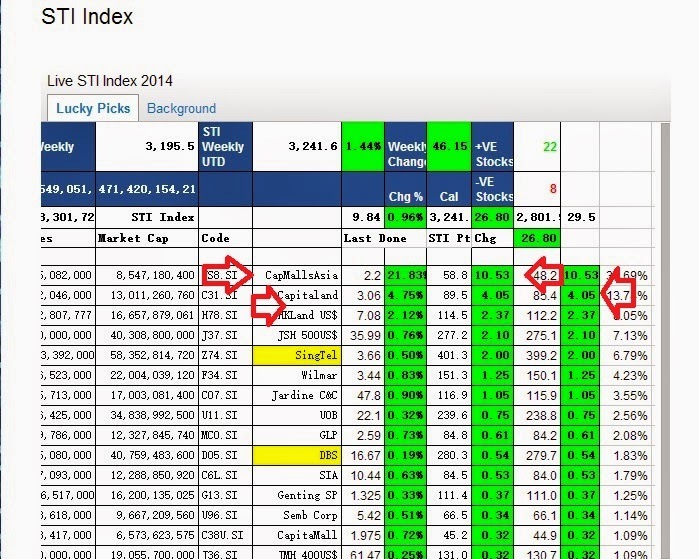 SGX Day Traders: Today STI bullish breakouts? wait, take a closer look. 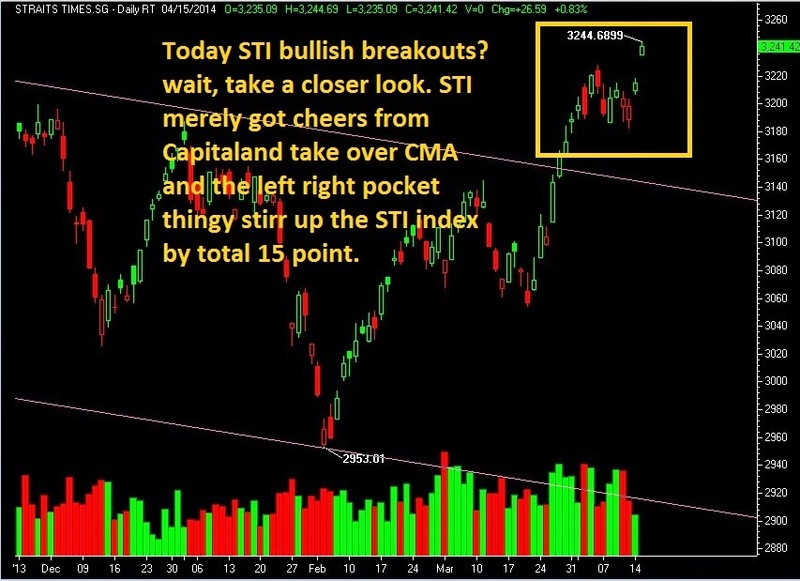 STI merely got cheers from Capitaland take over CMA and the left right pocket thingy stirr up the STI index by total 15 point. Click here to see STI breakdown in point.